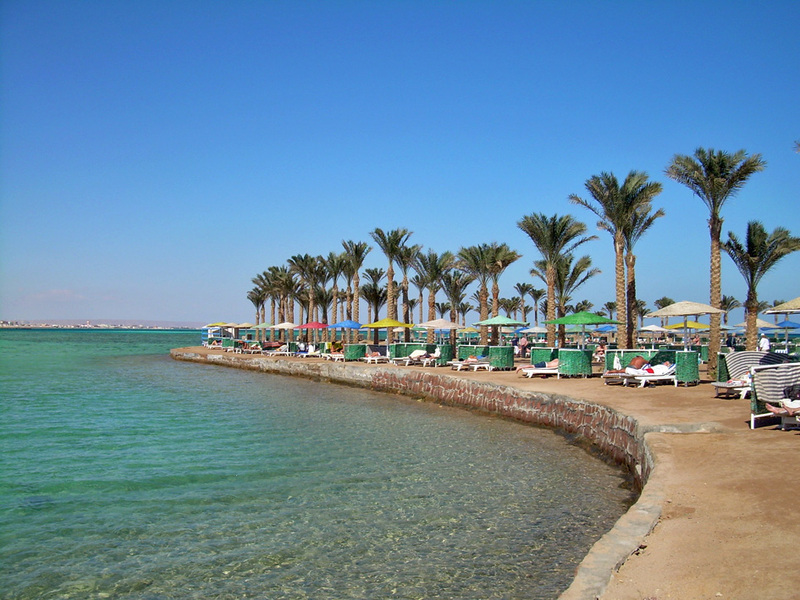 Sharm el-Sheikh is one of the best areas in Egypt to visit, if you love sunny weather, the Red Sea, swimming, relaxing, snorkelling, diving, exotic trips to Bedouin camps and shopping. There is something for everyone. 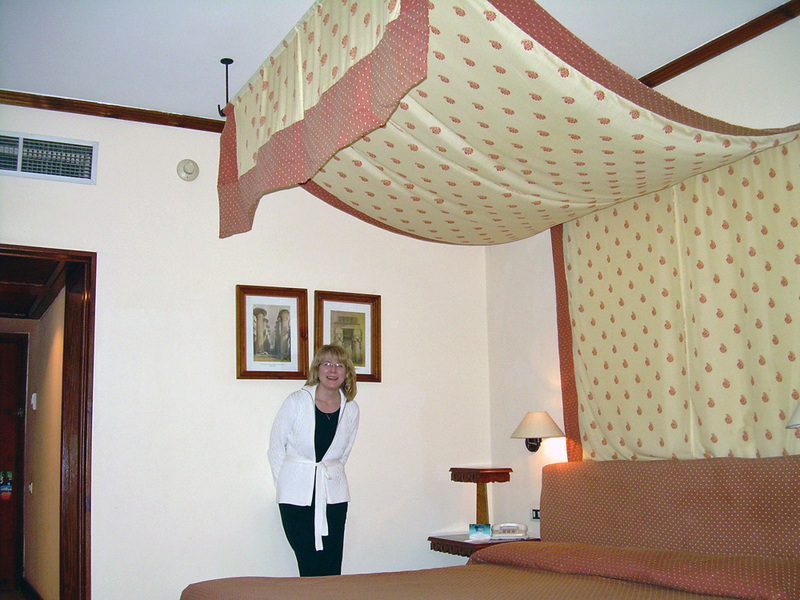 There are hotels optimised for couples, for families and/or for those who love water sports. 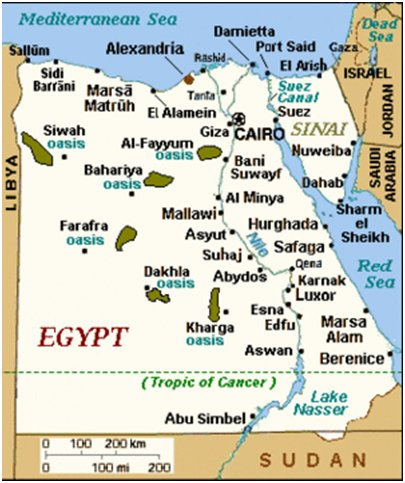 I recommend to check what you can find beneath the Red Sea surface. You do not need expensive diving courses and trips to far away coral reefs, which you can of course also enjoy. You can just rent or buy a mask and a snorkel and enjoy beautiful corals and colorful fish, close to the shore. 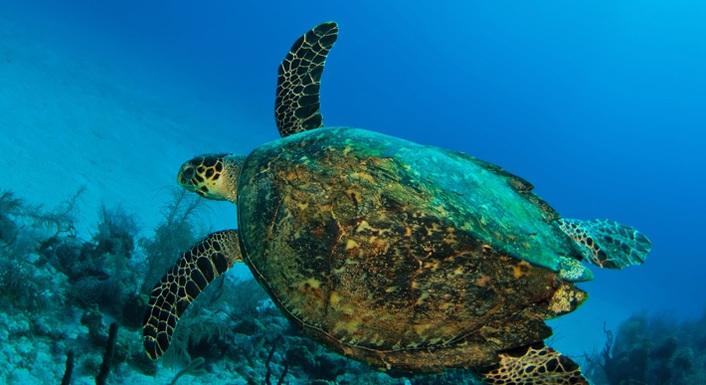 Sea turtles are rarely seen close to the shore. 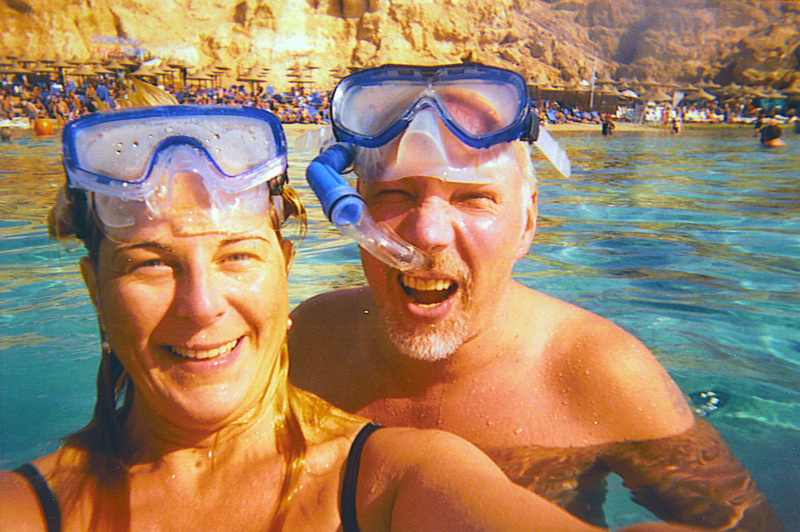 We did not see any in Sharm el-Sheikh. But we have seen a few sea turtles in Port Ghalib. 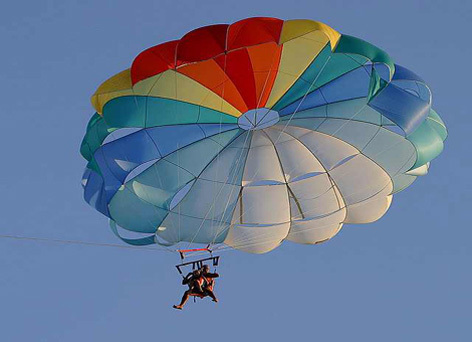 Why not start a new hobby during your next vacation. 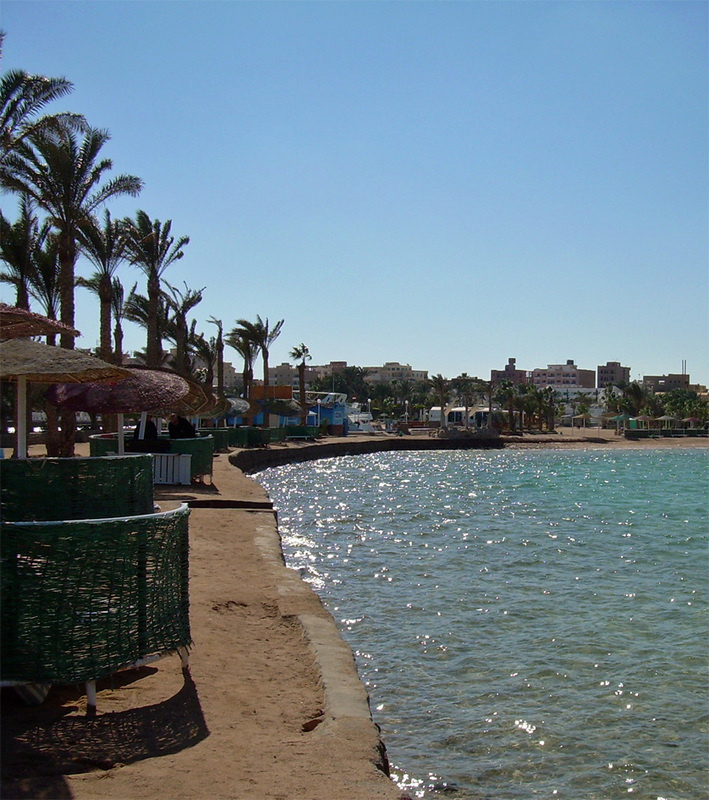 In Sharm el-Sheikh you can enjoy the beach life. The hotel we stayed at had a private sandy beach with a coral reef right there. That is rare. Sunny and hot days can be enjoyed also during the winter time. 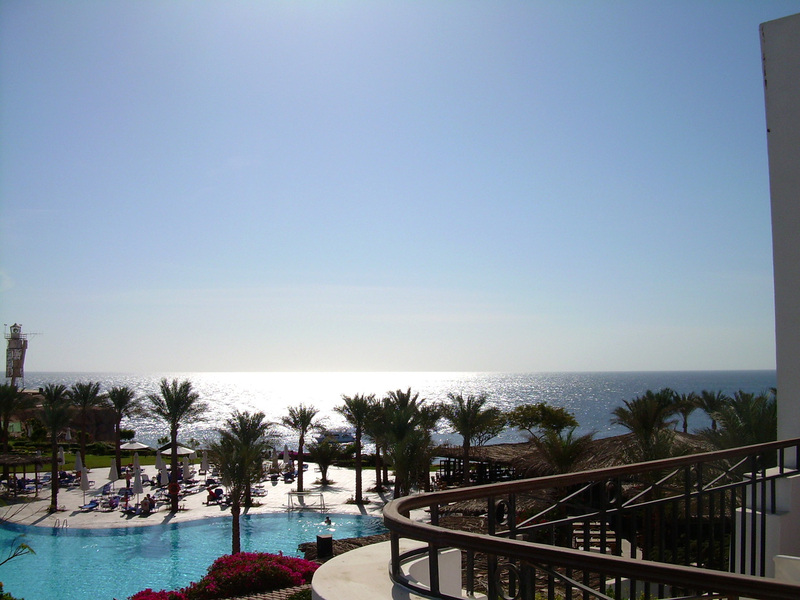 We travelled to Sharm in January and the weather was perfect. One day we decided to check out the near by bazaar. It was said to be huge. A friendly taxi driver took us there in less than fifteen minutes. 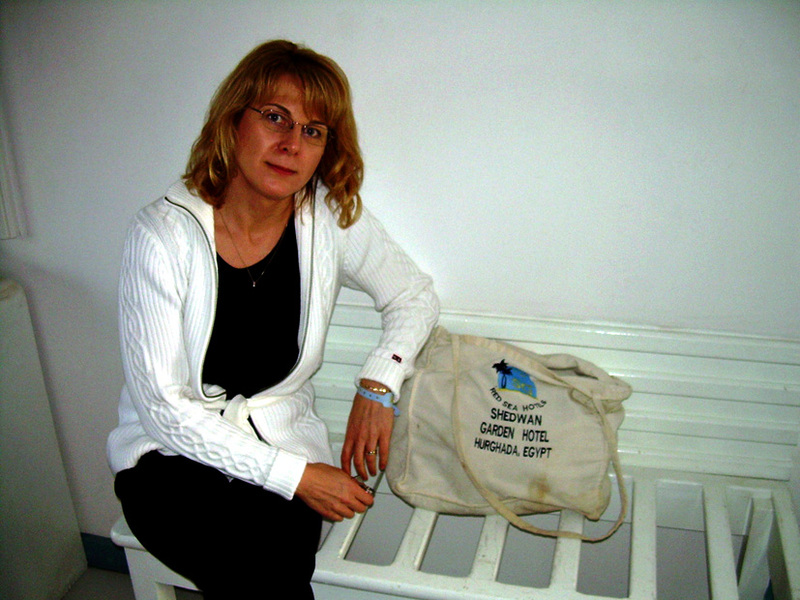 When we arrived at the bazaar, I was surprised. I had expected to see something different. I had imagined small stands in a row. This bazaar was a huge area, inside a beautifully built wall. The area in front of th wall was filled with taxis and buses, bringing tourists to this bazaar. I loved the mountain view behind the bazaar area. We strolled around the bazaar. The shops sold t-shirts, sandals, ornaments etc. As we saw a small mall on the other side of the street, we decided to visit it. The sidewalk around the mall was super clean. We were looking for a book store and a coffee shop. We found both. We found a Red Sea diving book with ship wrecks. And a few nice shirts. 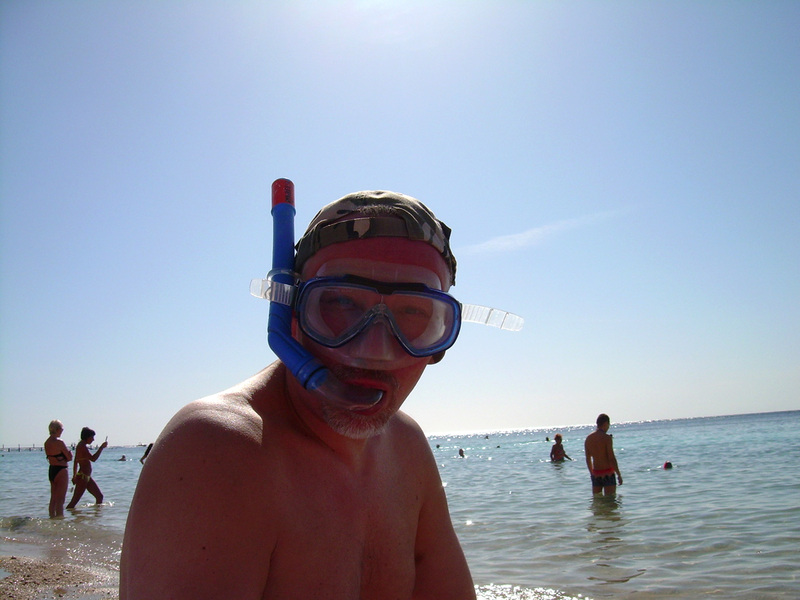 The hot sunny weather made us think about swimming and snorkelling. So we took a taxi back to the hotel and ran down to the fabulous beach. Back in the water! Guess who dived in first? 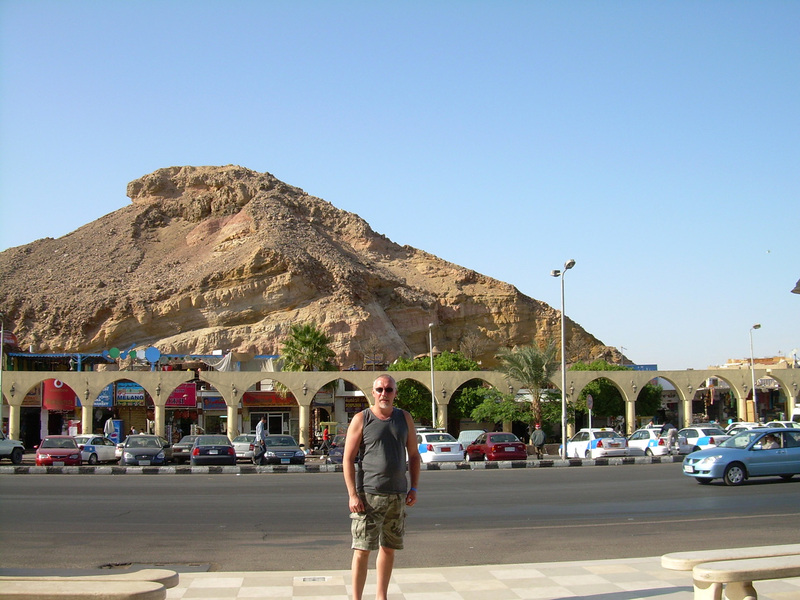 I think you would like Sharm el-Sheikh. We had a great sea view from our top floor room. 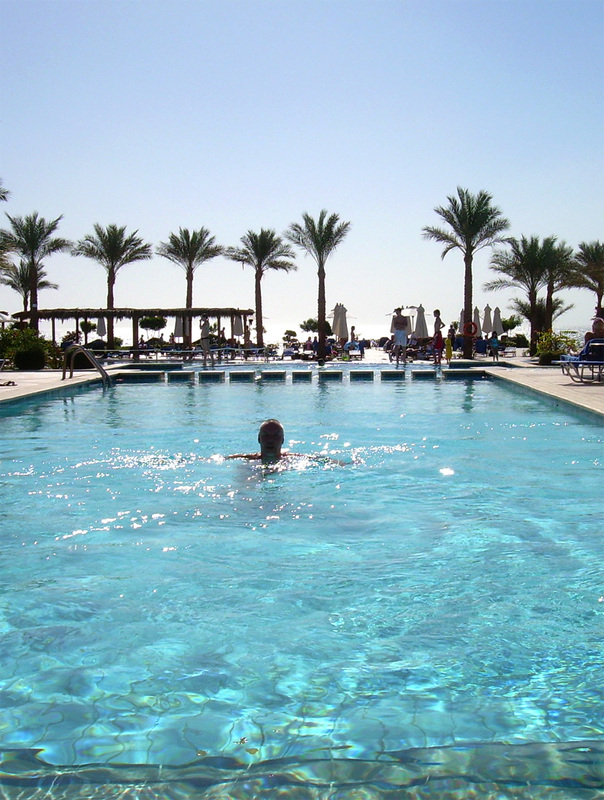 If you prefer to swim in a pool, there are plenty of pools to choose from – in most hotels. We like the big pools. The water was cold but so refreshing. 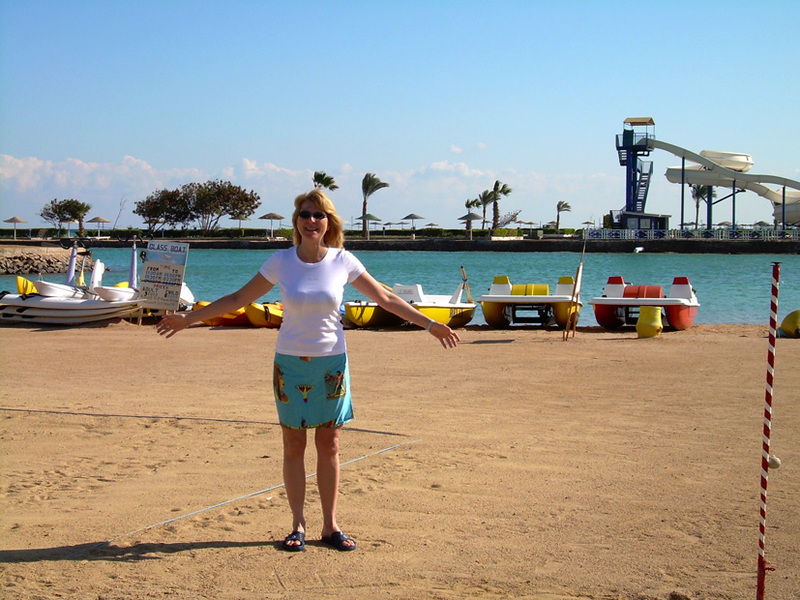 Our first visit to Egypt took us to Hurghada. A few friends had recommended the area. 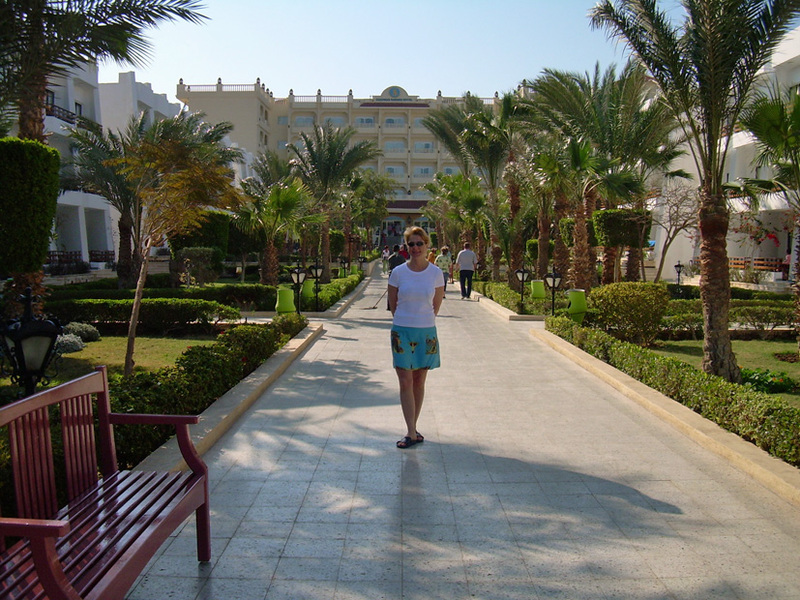 We wanted warm weather, sunshine and a hotel close to the Red Sea. In January it can be 25°C. During our stay the temperature did not get quite this high, but we enjoyed warm weather during the day. During the night it was about 12°C. The vacation was great and the week was sunny. 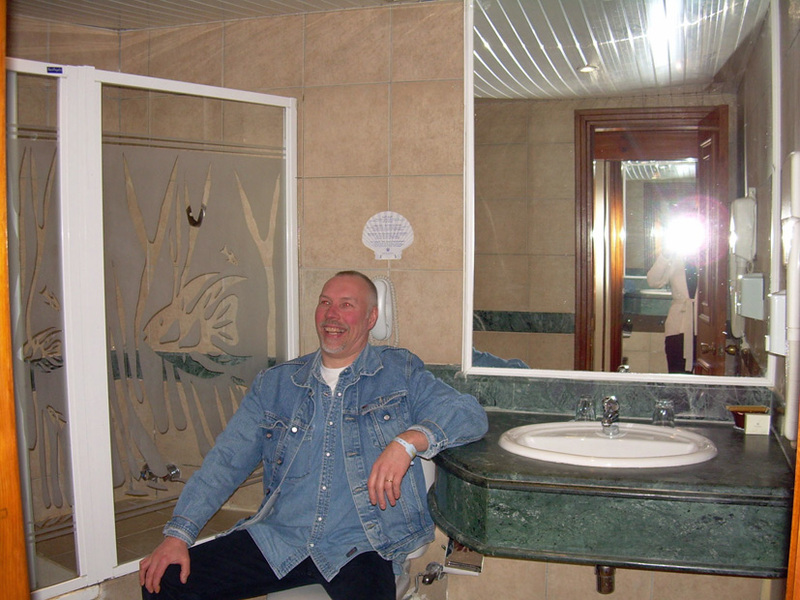 The Shedwan Garden Hotel has 4 stars. Our first room situated outside the main building in a quickly built additional wing. The front door and the balcony door had a gap of a few inches between the floor and the door. The wind was strong, outside and also inside. The furniture was cheap and old. We decided to change rooms. 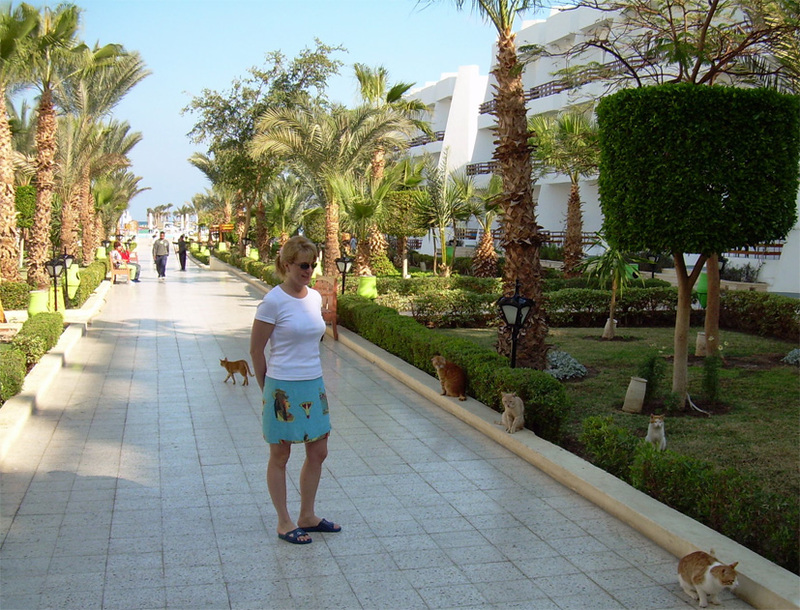 There were lots of cats around this hotel. 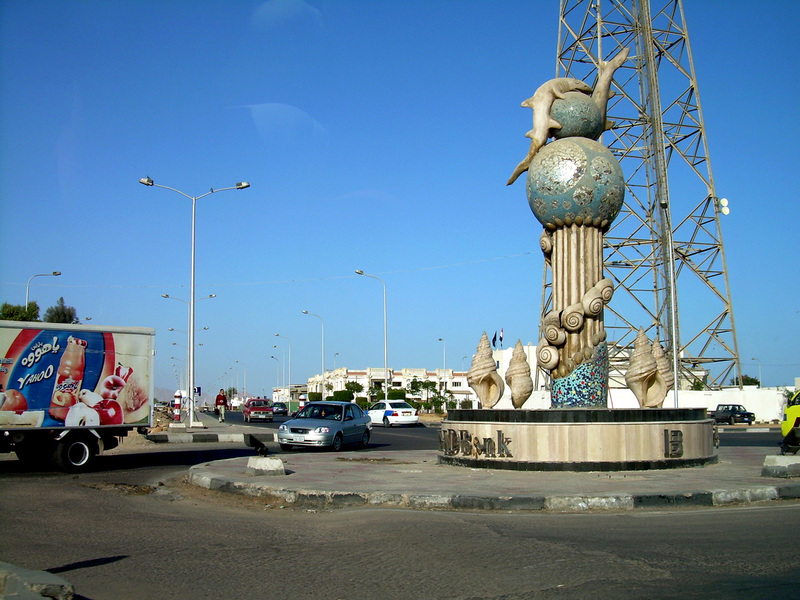 I heard it is common in Hurghada. The garden of the hotel was very nice. The personnel took good care of it. 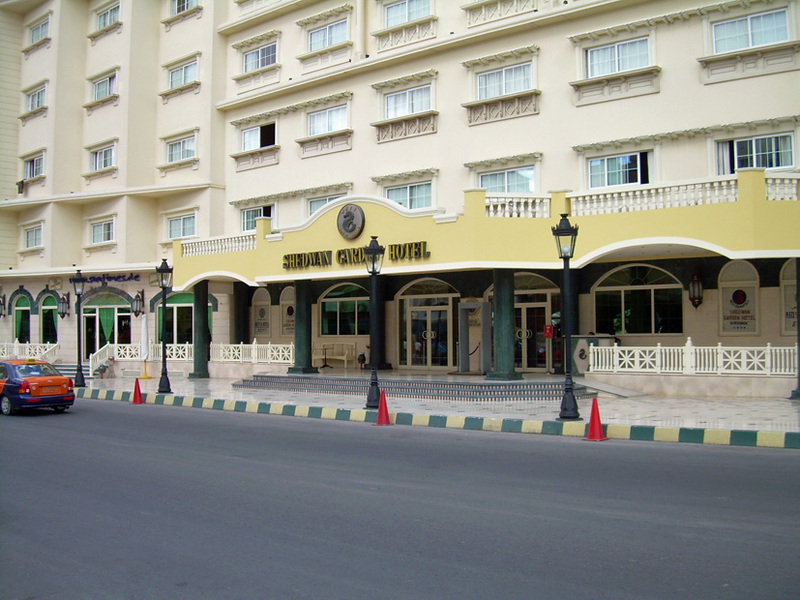 You could stroll through it during the evening and on your way to the beach. 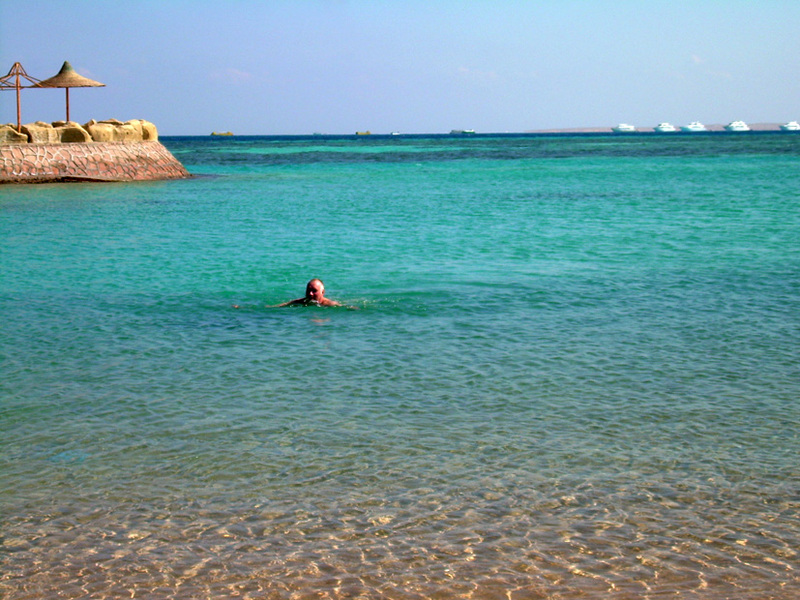 The beach of the hotel was OK. We had yet not found the amazing world of snorkelling and photographing underwater, so the beach fulfilled our needs – we got to swim in the Red Sea. 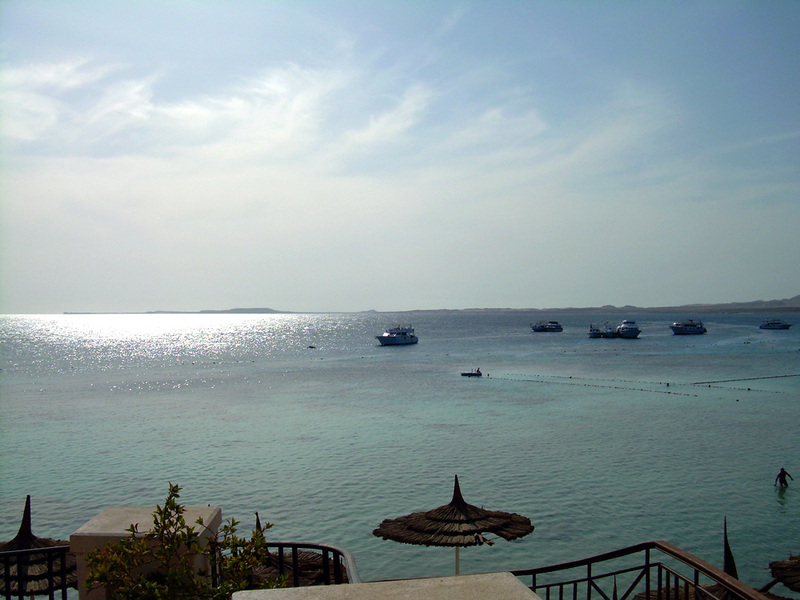 There were no coral reefs close to the beach, but you could take a boat and travel to coral reefs and go scuba diving. We saw some pedal boats and decided to try one. It was actually quite fun and sporty to pump the pedals in the high waves. 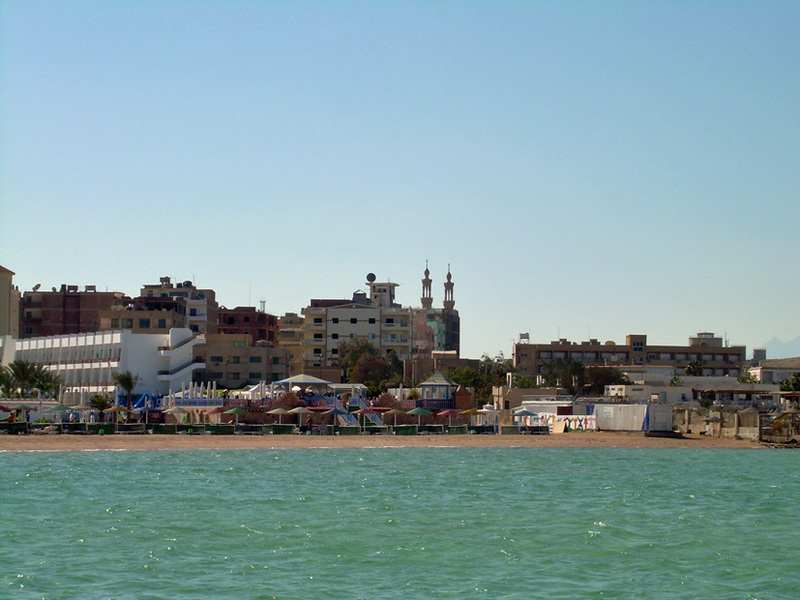 Here are some great shots of the Blue Lagoon and Hurghada, seen from the sea. 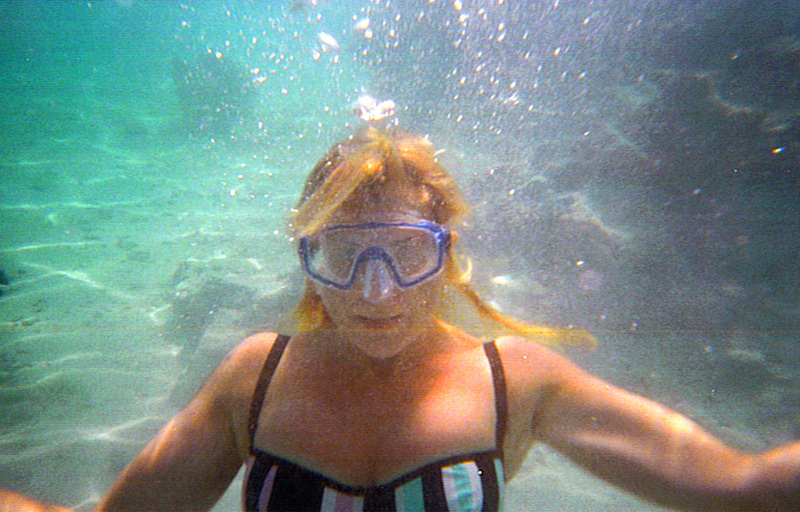 It was nice to swim in the Blue Lagoon. The temperature was not too hot, but during the day it got warm and the water felt great on the hot skin. 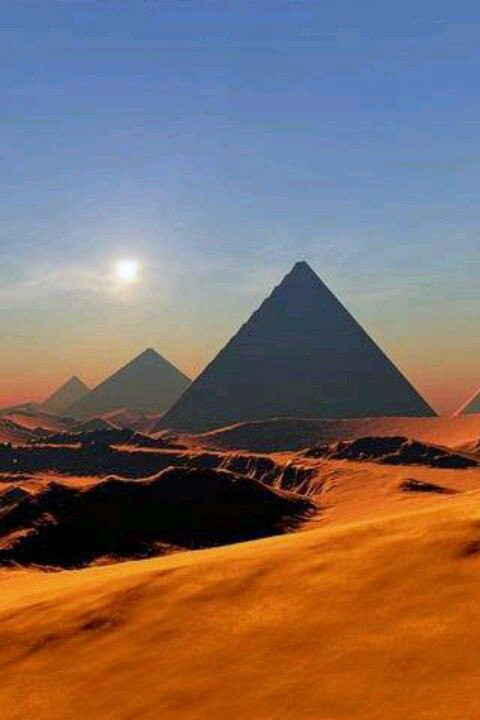 I recommend to travel to Egypt and to enjoy the country’s many beautiful places, beaches and its many attractions.